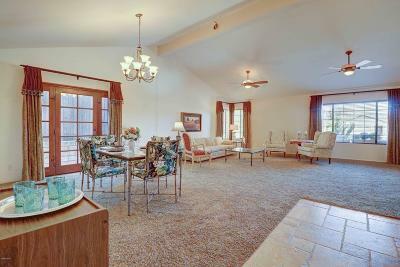 Impossible to find a home with a granny flat?! 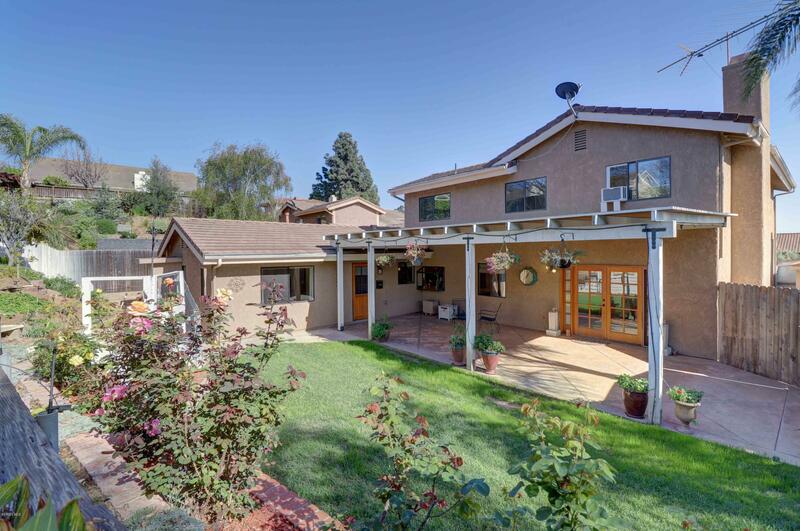 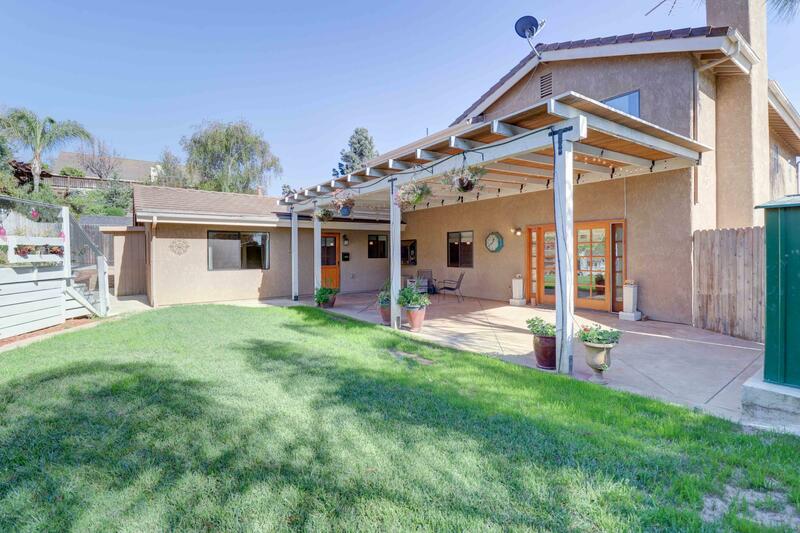 Well, here it is--2989' home on a cul-de-sac with 5 bedrooms, 3+ baths, AND attached, permitted 630 ft addition! 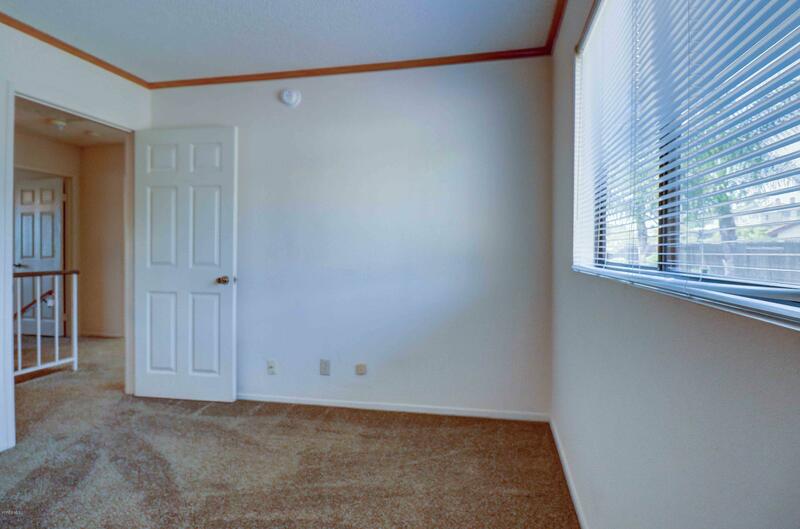 With kitchenette, living room, bedroom, & handicapped equipped bath. 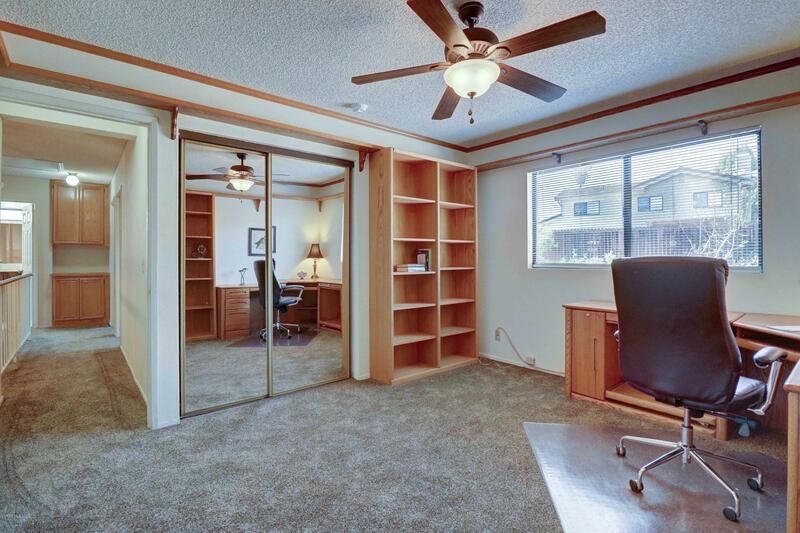 Or lease for $1500-1800 a month, use as private office/studio. 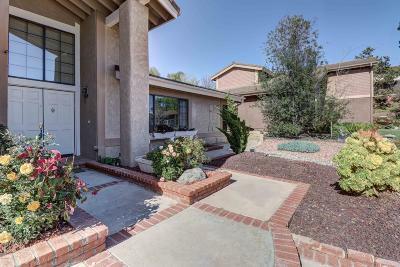 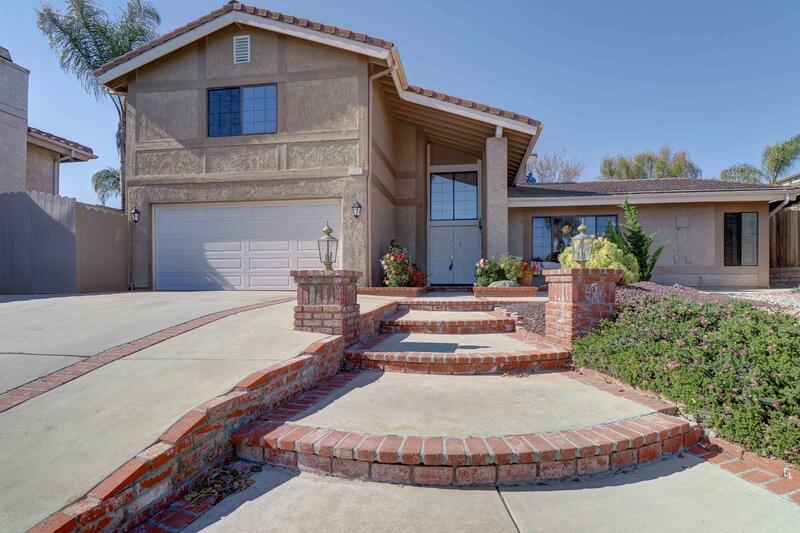 Front of home has drought tolerant plants, stone & rock landscaping. 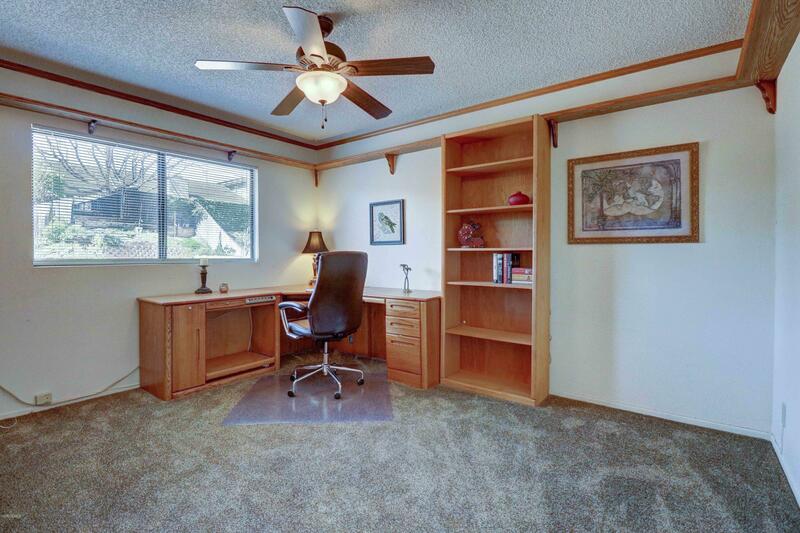 Wide drive with 35ft RV space. 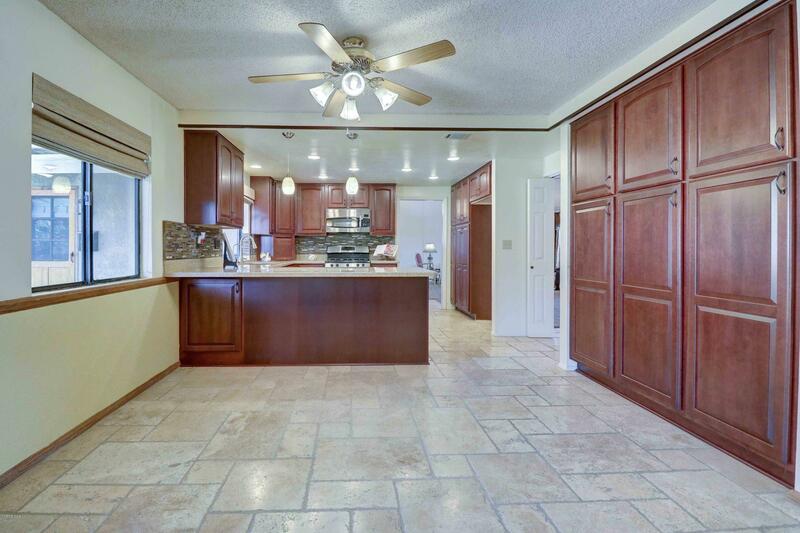 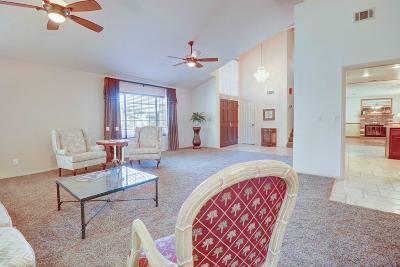 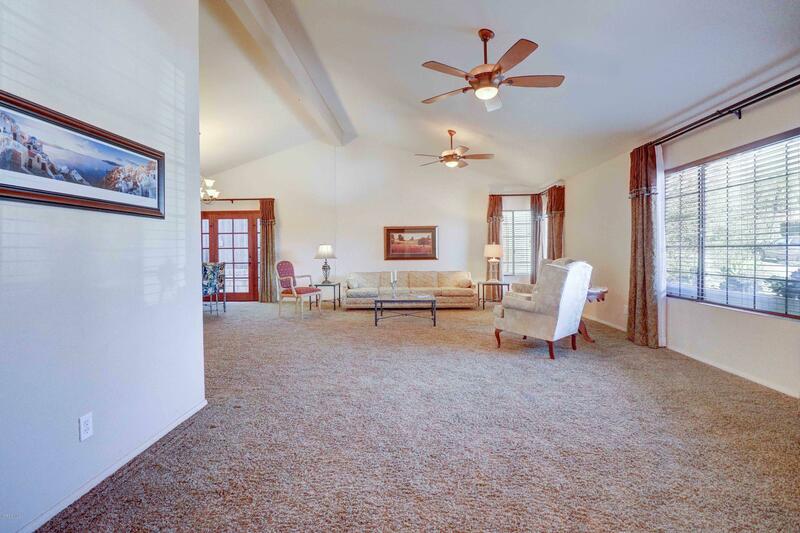 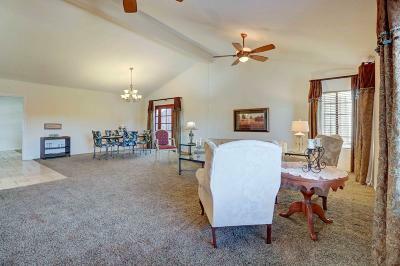 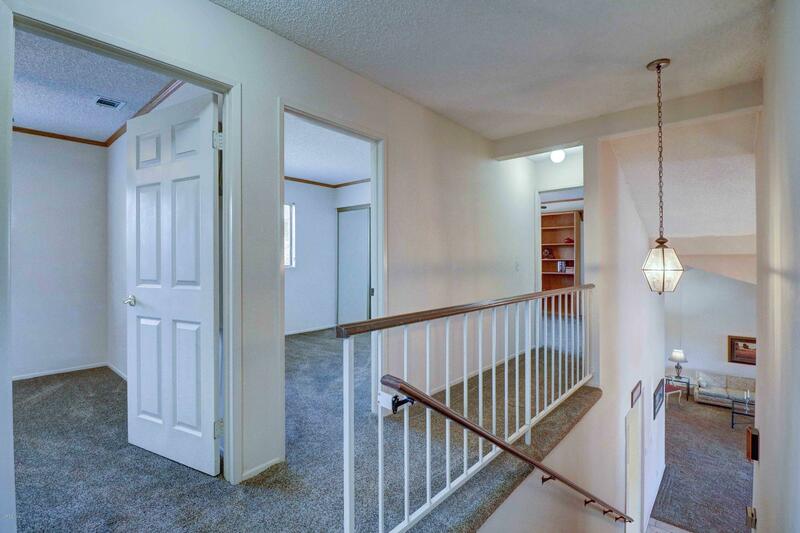 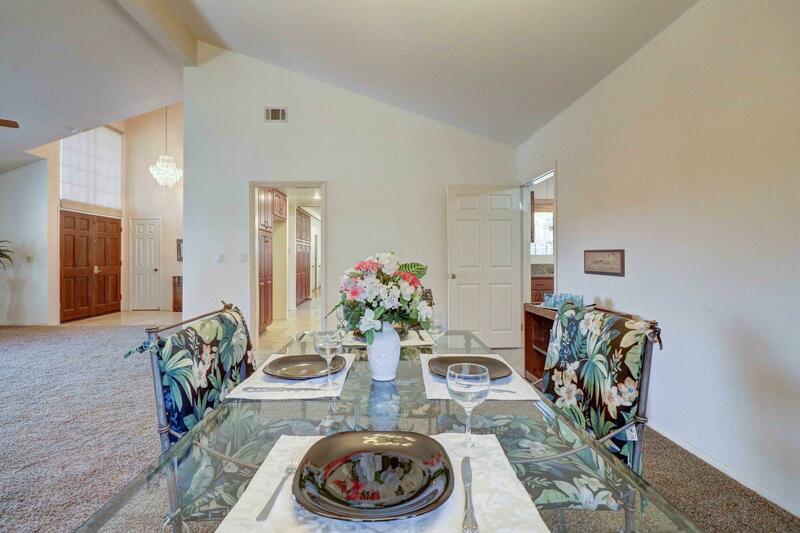 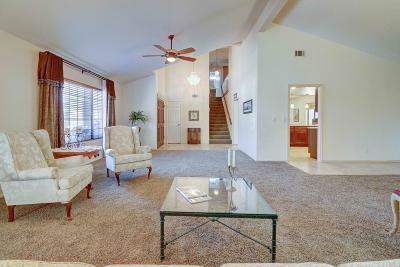 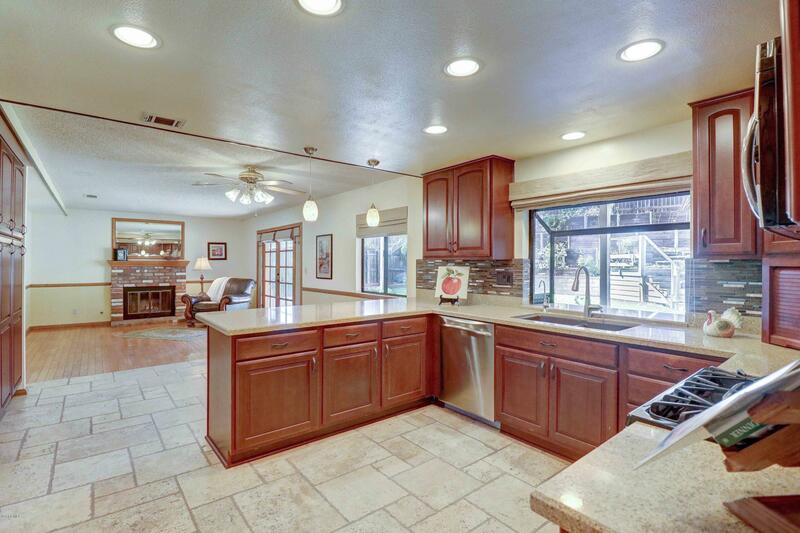 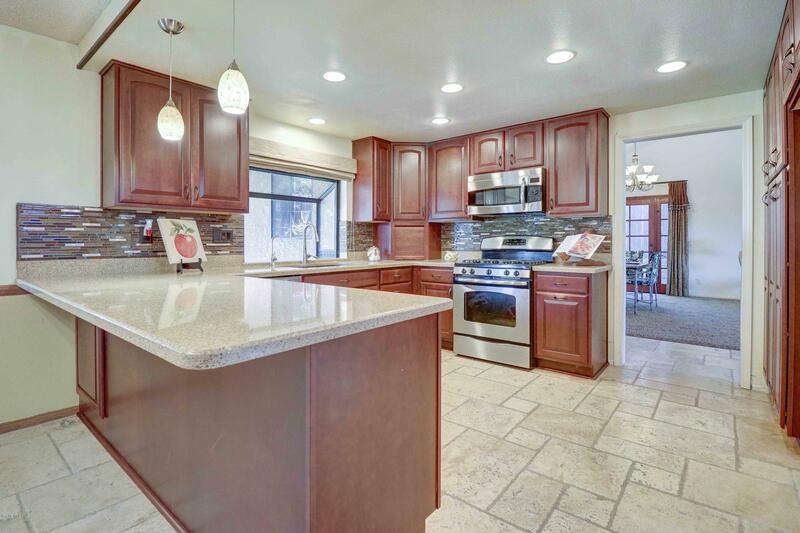 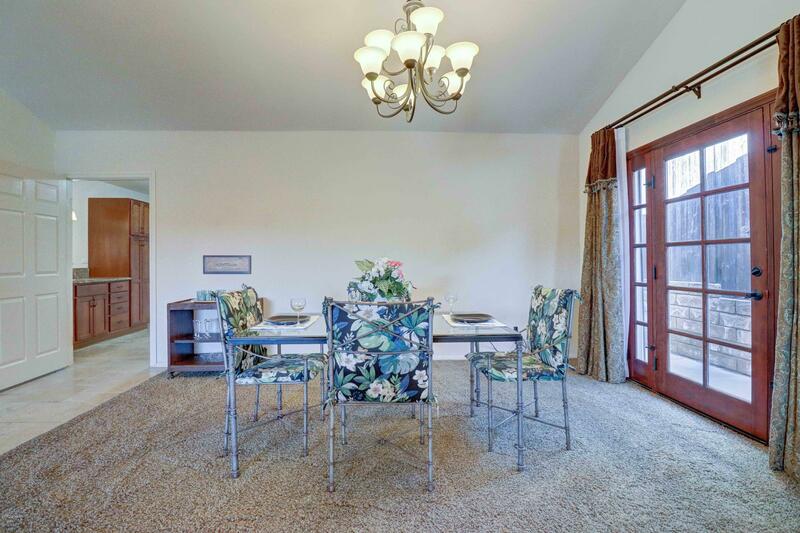 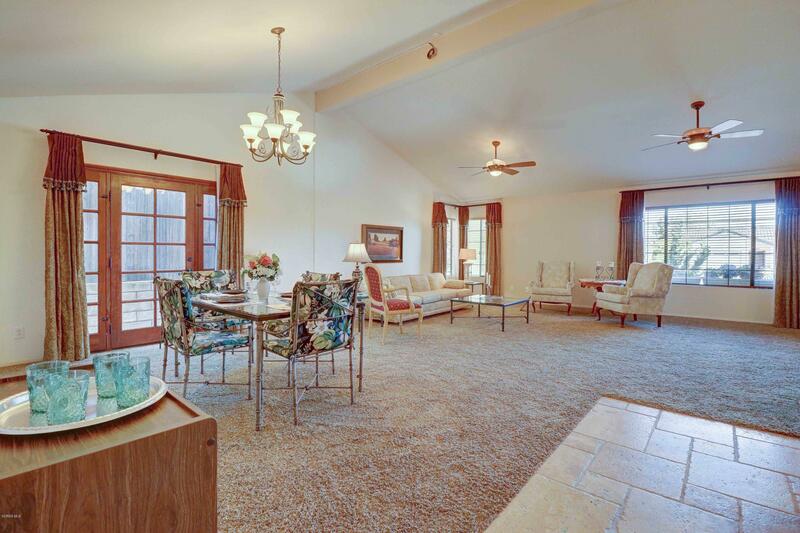 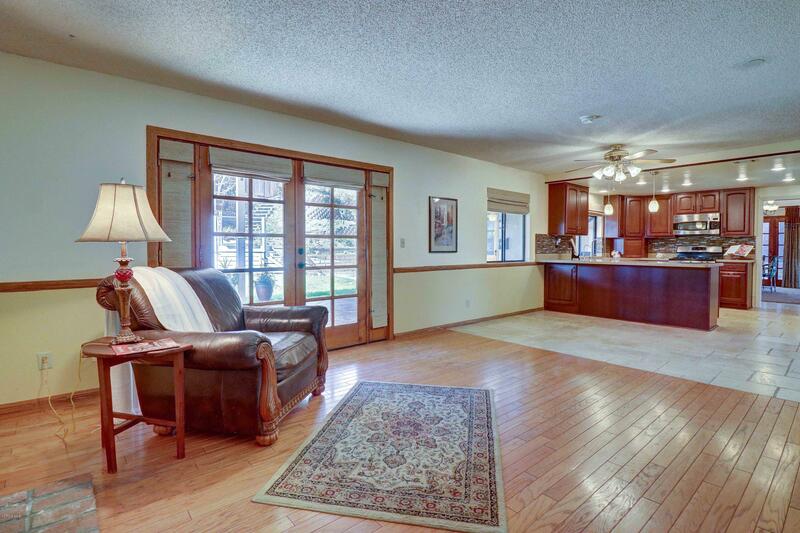 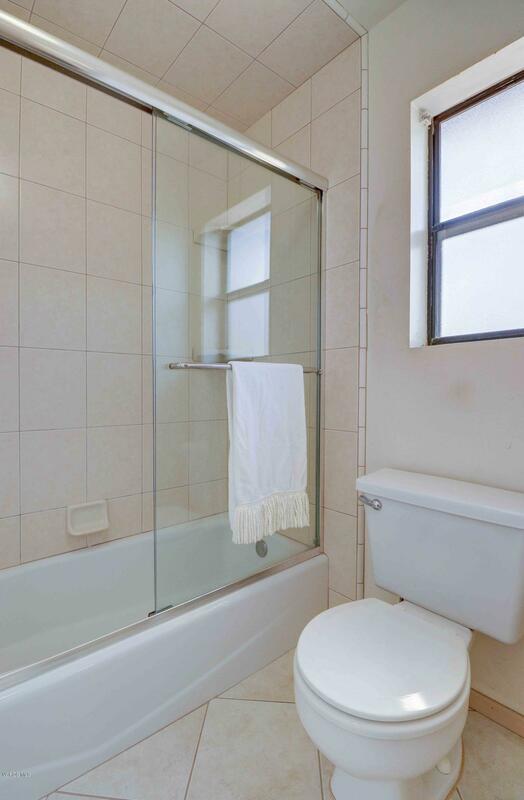 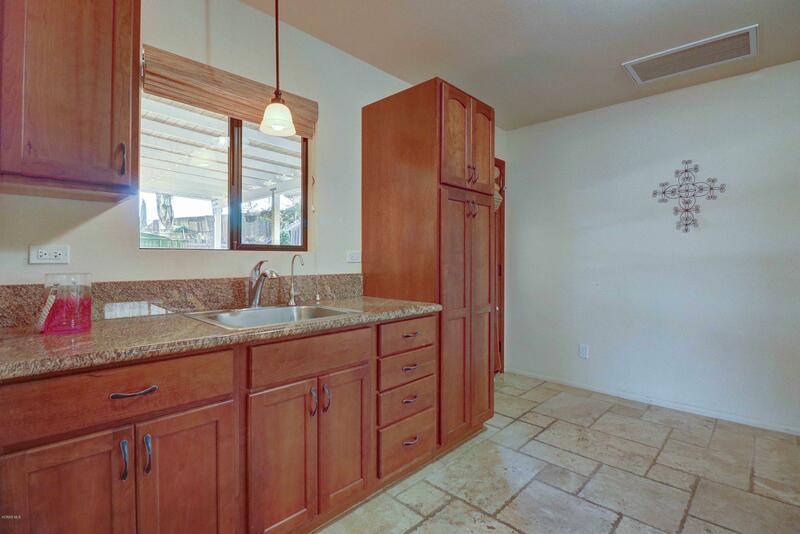 Fully upgraded inside with custom drapery, travertine tile, carpet, and wood flooring. 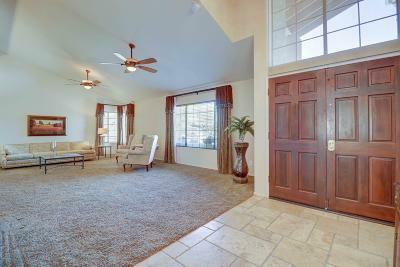 Recent 330 sq ftexpansion created a spacious living room for relaxing or entertaining. Formal dining area flows to the kitchen with custom cabinets, GEProfile appliances, quartz counters, view to backyard, and eating area. 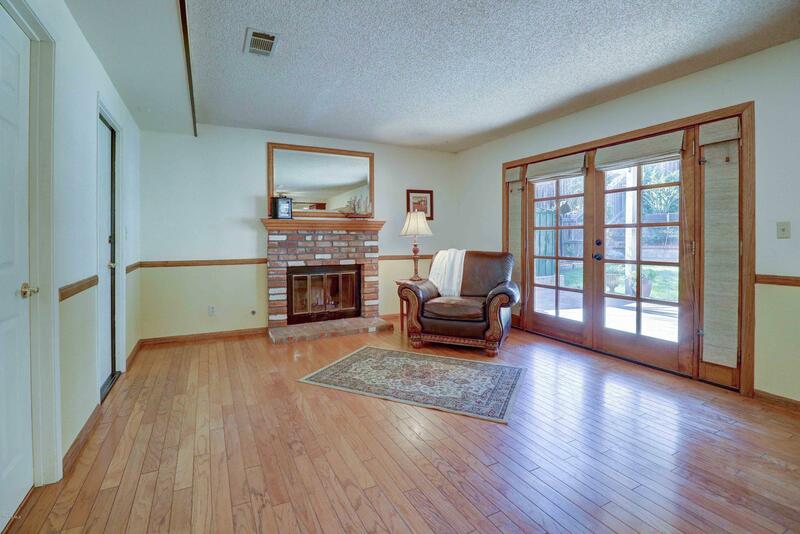 Adjacent family room has gas fireplace, powder room, doors to the patio. 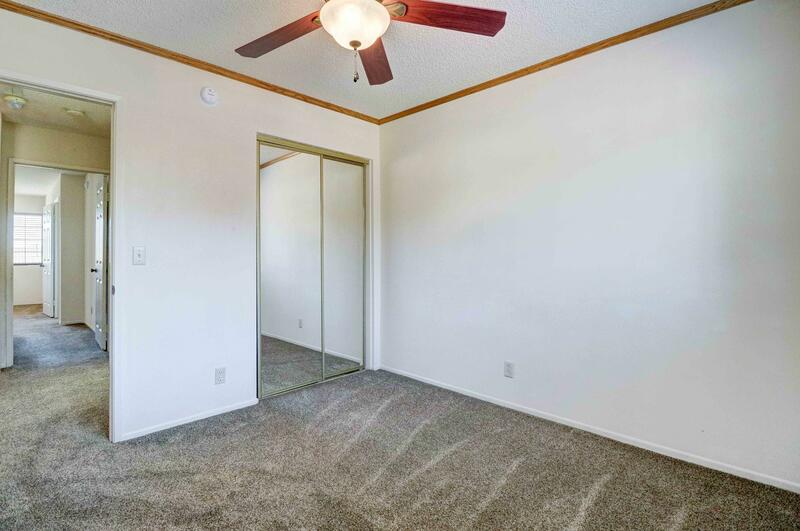 4 bedrooms, one having built-in ironing board great for guests. 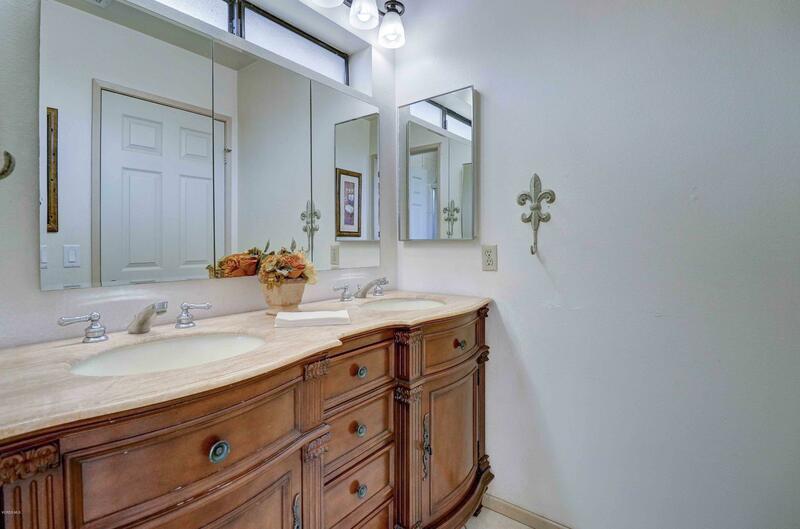 Full bath, custom vanity & ceramic floor. 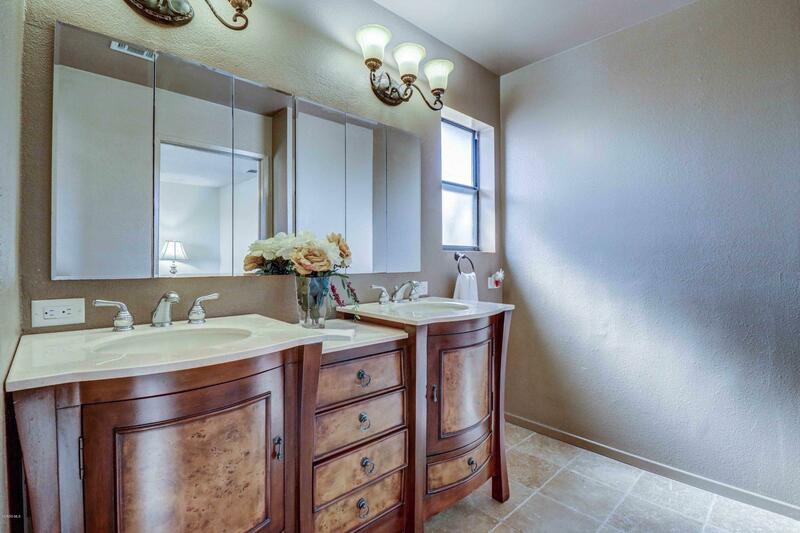 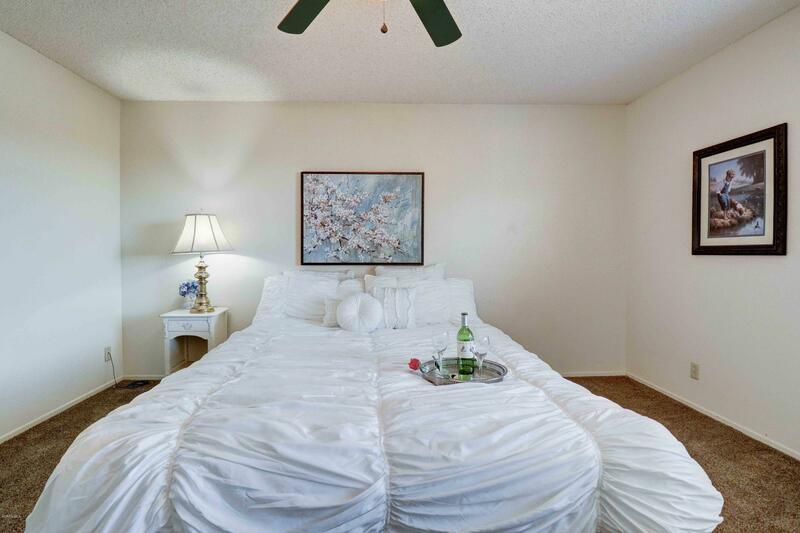 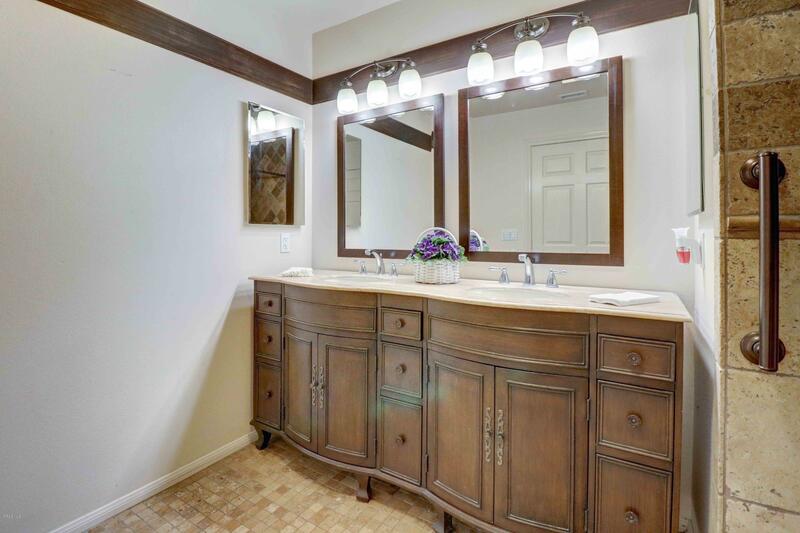 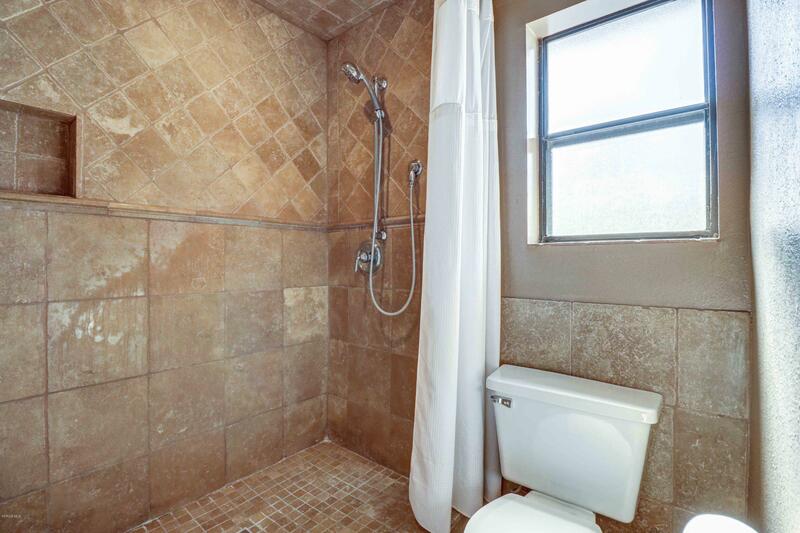 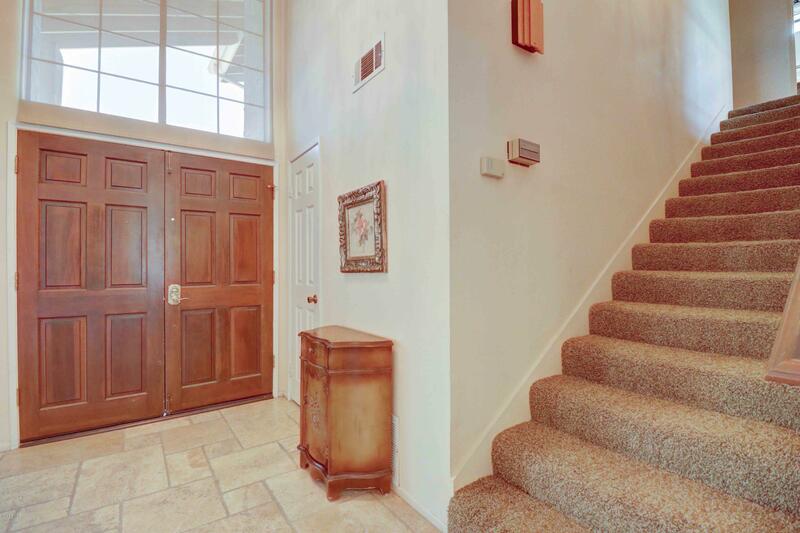 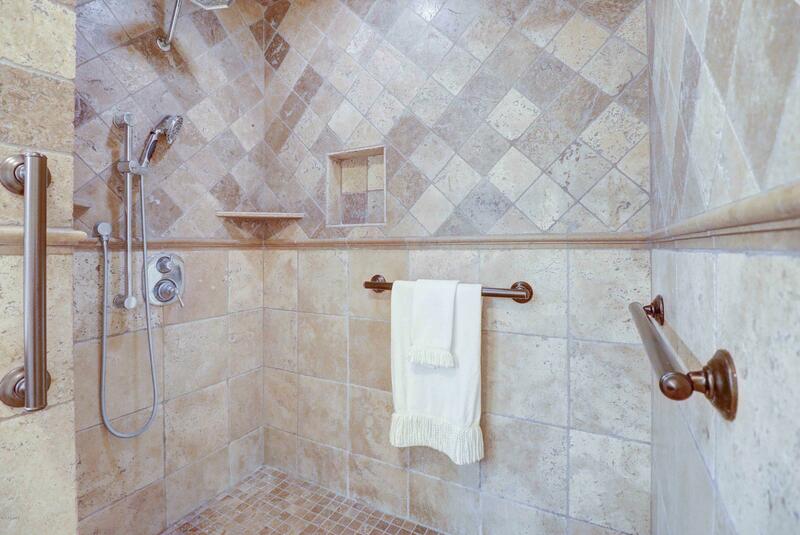 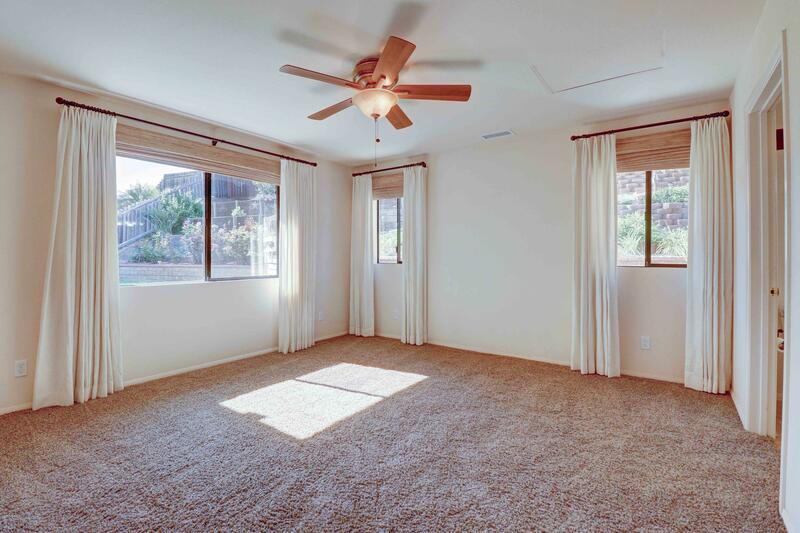 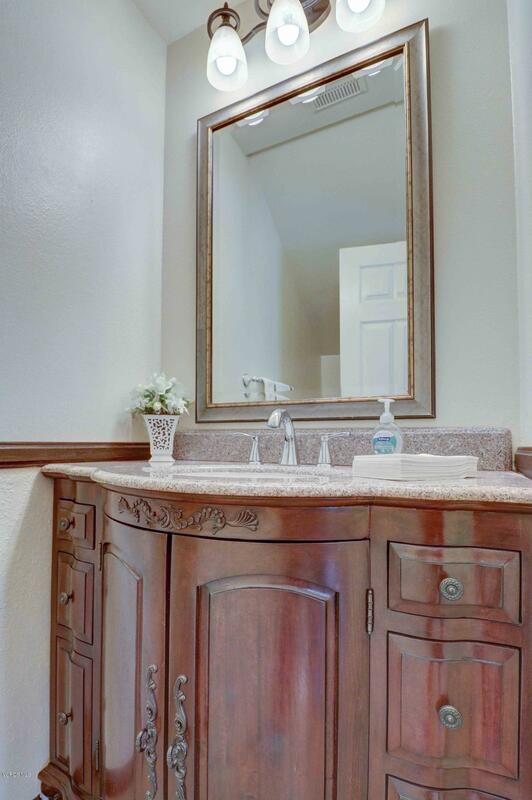 Master bedroom has walk-in closet, bath hasdual sinks, custom vanity, & tiled shower w/ledge. 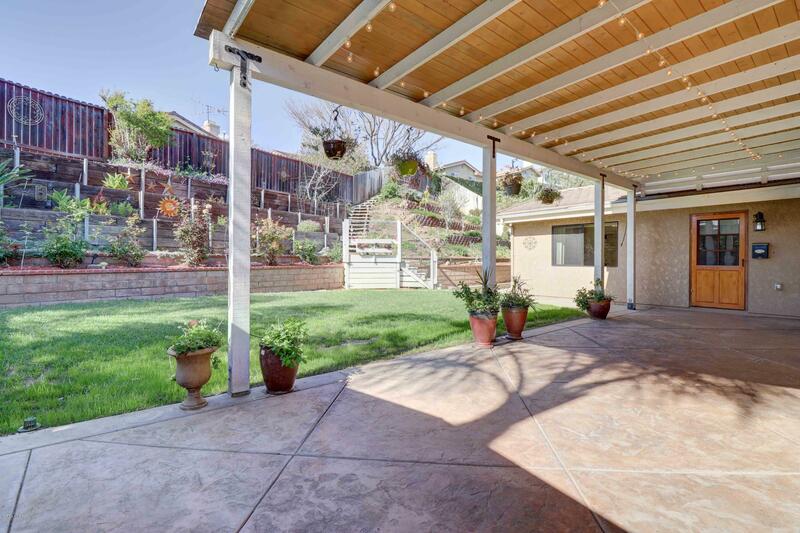 Backyard has covered patio, stamped concrete, and view of terraced hillside with trees, flowers, and plants on drip irrigation. 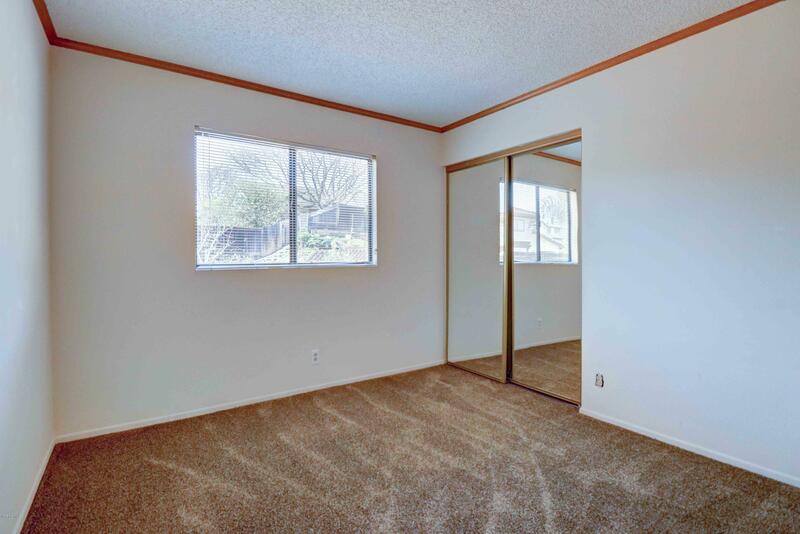 2 car garage has lots of storage. 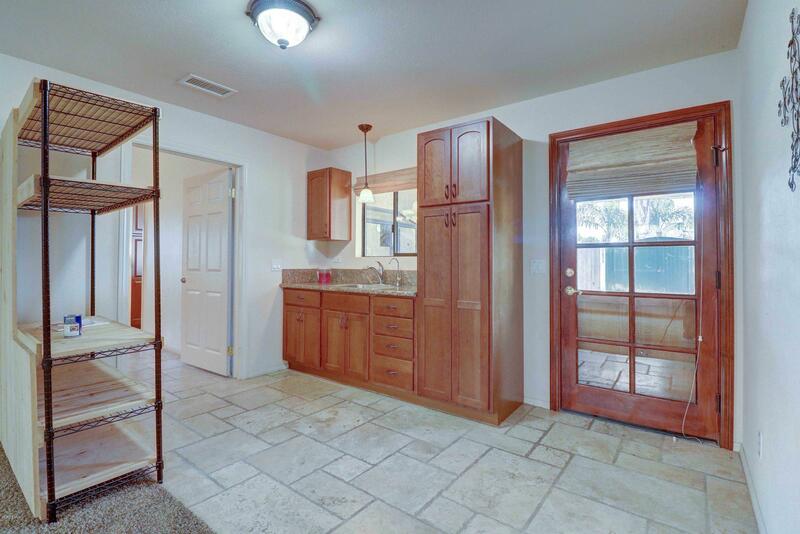 The handyman has a workshop with electricity located next to the garage.